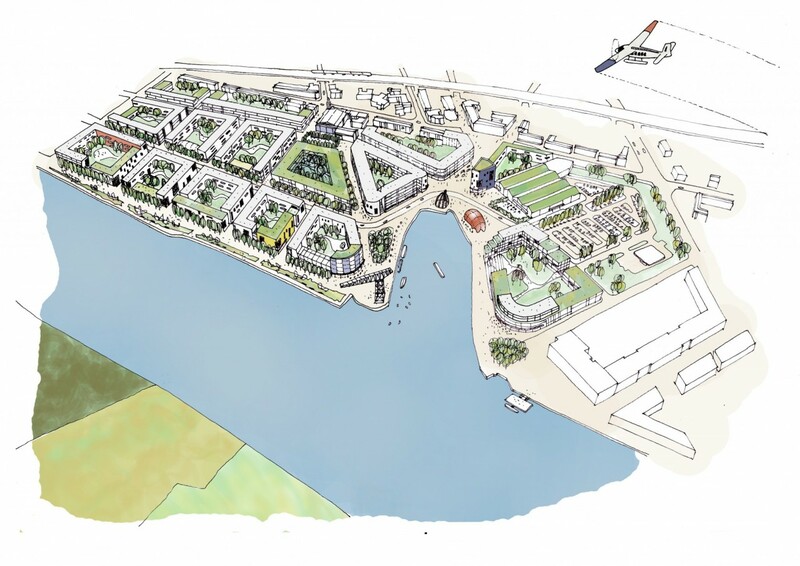 Our task was to carry out a regeneration study for clients Clydeside Regeneration Ltd and Dawn Development to set out a new vision for Queens Quay Clydebank, the former John Browns Shipyard on the banks of the river Clyde in west central Scotland. 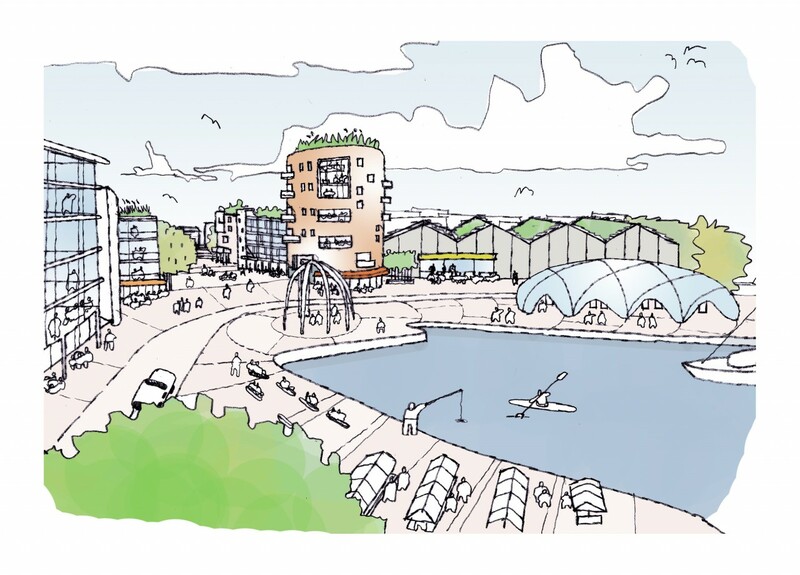 This 25 hectare site is a component of the larger Clyde waterfront regeneration. 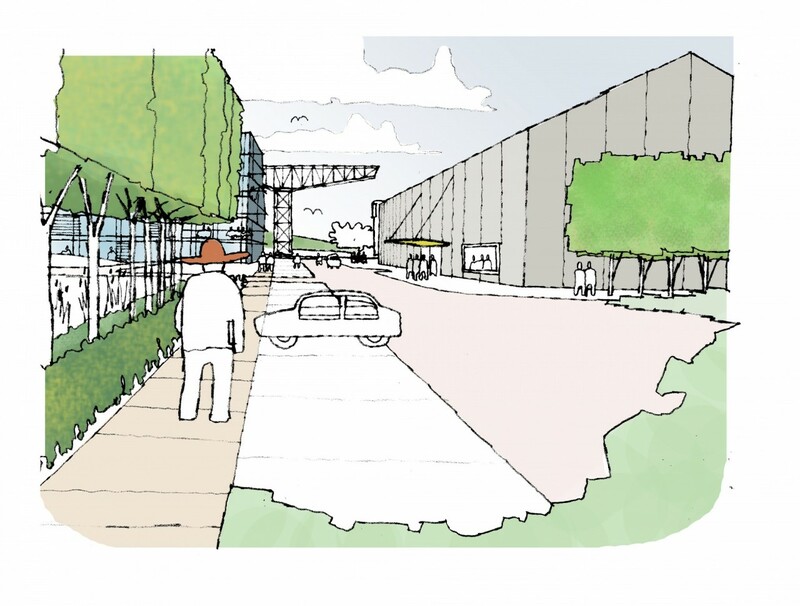 For this project we collaborated with Roy Adams OBE, a specialist in urban regeneration and in the conception and implementation of major development schemes. These range across community development, infrastructure, housing, shopping centres and stadia in the United Kingdom and France. He was awarded an OBE in January 2006 for services to urban regeneration in North Belfast, where he was an advisor to government for 4 years and Chairman of a cross community Ministerial Advisory Panel. We were able to assemble and collaborate well in an effective experienced team, working across countries. We worked partly as Executive Architects based near the site, while another architect worked from London, and another in France. We have the experience and organised systems set up to successfully perform this sort of high-scale large collaboration project or proposal. We achieved the objective of the study, which was to set out a top level proposal for the site, including aspects such as its strategic context, interpretation of an existing masterplan and looking at successful worldwide examples. It also encompassed economic, social and environmental principles, public spaces, landscape and architectural variety, infrastructure and indicative massing.